Are you a high school senior in western and central Pennsylvania looking for money for college? Want to take a stand against drunk driving and texting and driving? Then we have a college scholarship opportunity for you. 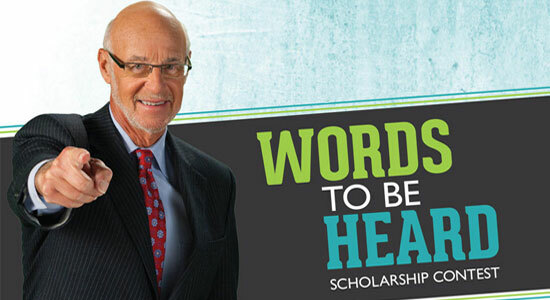 Our 2019 "Words to be Heard" Scholarship Contest is now accepting entries from high school seniors in western and central Pennsylvania who plan to attend a two- or four-year college, university, or trade school in the Fall of 2019. All entries must be postmarked by April 26, 2019. We launched this program in 2007, and since that time have given away more than $150,000 to help students afford college. The details on how you can enter are below. Learn about our 2018 winning entries here. We want you to submit your idea for a presentation that would discourage your peers from dangerous driving behaviors. You can focus on drunk driving, texting while driving, or any other form of distracted driving. The presentation can be a video, website, essay, song, visual art piece, or some other option that you come up with on your own. Be as creative as you'd like! Please check out additional details about the presentation types. Note: Students can work together to create a presentation. Each student must fill out their own application and prize money will be split between entrants. All submissions must be postmarked by April 26, 2019. The contest is open to all western and central Pennsylvania high school seniors who plan to attend a college, university, or trade school in the Fall of 2019. First, download and complete this application. 1. The completed application including a recent photo. 2. A presentation (video/brochure/website/creative writing/or use your imagination) that discourages underage drinking and drunk driving, texting while driving, and/or any other form of distracted driving. Note: Please test your presentation before mailing it in. Here is some additional information on what your presentation should include. Video/Song: Videos and songs must be on a DVD or flash drive with your name and school. Website: 2-page minimum, 10-page maximum. Must provide printed copy of website and a copy of the website on a CD or flash drive labeled with your name and school. Essay/Creative Writing Piece/Visual Art Piece: Please include a hard copy and also send on a CD or flash drive labeled with your name and school. Feel free to be creative and include supplemental marketing materials for proposals such as, but not limited to, brochures, posters, T-shirts, etc. 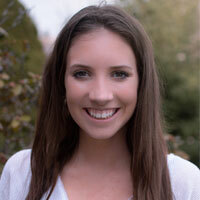 You can view Bridget's project and the rest of the 2018 winners here. You can find the official contest rules here. Have questions? Click here to email your question.